The following article was written for The Sunbury News during Ohio's bicentennial celebration in 2003. With the opening of the Myers Inn Museum in 2008, I began really studying the life of this man who was born in our community. For a more in depth biography please go to RosecransHeadquarters.org. William Starke Rosecrans was born in Kingston Township September 6, 1819. His paternal ancestors came from Amsterdam and settled near Wilkesbarre, PA. The name was originally spelled Rosenkranz which meant Crown or Wreath of Roses. William's grandfather Dr. Daniel Rosecrans married Catherine Cole in 1760 and after her death, Truthful Wilcox. He served as a Captain in a Goshen, NY, 6th Company regiment. In 1809 John Rosecrans (his four sons, Abraham, Jacob, Isaac and John Jr.) and Dr. Daniel Rosecrans, his wife Thankful, and his four sons, Nathaniel, Jacob, Perlemas and Crandall, settled along the Little Walnut Creek in Kingston Township. Dr. Rosecrans became Kingston's first Justice of the Peace. 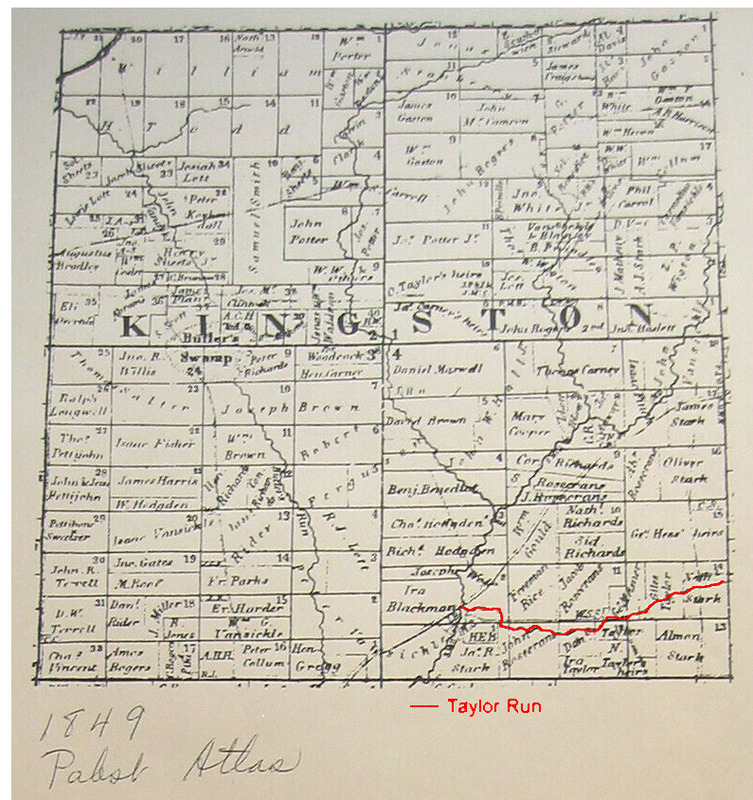 In 1813 he moved south on Taylor Run. William's father Crandall Rosecrans and his wife Jemima Hopkins (relative to Stephen Hopkins who signed the declaration of independence) lived on 160 acres next to Dr. Daniel's farm on Taylor Run. Their first son, Chauncey, born in 1817 died in infancy. William was born in 1819. It is said his father had been an admirer of General John Stark and hence his middle name. However, the Stark families were prominent neighbors in Kingston and Porter Townships so the name may have come from them. Many members of his Uncle John's family are buried in the Stark Cemetery. At any rate the extra 'e' was added to William's name. In 1821, the family moved to Homer, Ohio, where the family continued to grow to include Charles Wesley (1822) who became a farmer in Iowa, and Sylvester (1827-1878) who became a Catholic Bishop in Columbus. Crandall managed a village tavern, general store and farmed. Although he did not belong to a particular religious denomination he was very religious and a strong patriot. William attended a log school for a few months each year. In 1833 a Lancaster merchant, George Arnold, opened a general country store in Utica, a few miles from Homer. William became a clerk in the store and when Arnold moved the store to Mansfield, William moved with him. Here one day William was the driver for T. W. Bartley, future Supreme Court Judge of Ohio, on a trip to Columbus. Bartley enjoyed the trip so much. he encouraged him to get an education. Rosecrans and his father began a correspondence with their congressman and secured an appointment to West Point. William spent time at Kenyon College to prepare for the West Point examination and entered the school in 1837. When he graduated in 1842 he was 5th in general merit and 3rd in mathematics. Anna Elizabeth Hageman, of New York, was a house guest of Susan Bailey, daughter of professor Jacob Bailey, for the West Point graduation. Graduates Rosecrans and Gustavus Smith were invited to walk them to the Crow's nest, a local scenic spot. From then on William was in love with Annie. They married August 24 at St. Paul's Episcopal Chapel in New York while William taught at West Point. They had five children, Louis, Mary, Carl, Lily, and Anita who lived to be adults. Following graduation, William entered service as Brevet 2nd Lieutenant of Engineers. After a year as Assistant Engineer building fortifications at Hampton Roads, VA, he returned to West Point as Assistant Professor of Engineering. In 1847 he was again in active service at Fort Adams, RI. 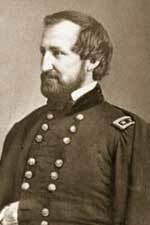 When he resigned in 1854 he was First Lieutenant of Engineers stationed in Washington. William went to Cincinnati and became a consulting engineer and architect. The pay was scanty. In 1855 he took charge of the Cannel Coal Company in West Virginia and became president of the Coal River Navigation Company in 1856. In 1857, he organized the Preston Coal Company to manufacture kerosene. At the beginning of the Civil War, William volunteered to help Gen. George McClellan organize and equip the Ohio home guard. June 9, 1861, he was appointed chief engineer of Ohio with the rank of colonel. The next day he was made colonel of the Twenty-third Ohio Volunteers. He organized Camp Chase in Columbus and received a commission of brigadier-general in the regular army to date from May 16, 1861. His first important conflict was the battle of Rich Mountain (July 11, 1861) which he won. When McClellan was promoted, Rosecrans followed him as commander of the Department of Ohio which consisted of western Virginia, Ohio, Michigan and Indiana. One of the strangest experiences in military history happened in the spring of 1862 when William found and extricated Gen. Blenker and his troops who were lost in the mountains of West Virginia. As commander of the Army of Mississippi, Rosecrans defeated General Price in the battle of Iuka on September 19. On October 3rd and 4th, he defeated Van Dorn and Price at Corinth. 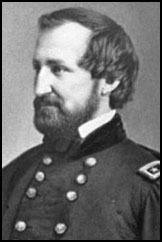 In the last battle he was so impressed with Phil Sheridan, he wrote to Washington urging the authorities to give him his own command thus the saying Rosecrans "discovered" Phil Sheridan. On October 25th, Rosecrans returned to Cincinnati where he found orders making him commander of the Department of Cumberland which consisted of whatever territory south of Cumberland he took from the enemy. He established bases and lines of communications, established Inspector General's and topographical departments, and engineering and pioneer corps. On October 30 he began his march to Nashville and defeated a confederate attack on that city on November 5th. On December 30, 1862 the four day battle of Stone River began. Things were not going well for the Gen. McDowell McCook and his Union forces. One account read, "Realizing the dreadful position into which the rebels were speedily crowding him, Rosecrans, unattended by guard or staff, rode quickly into the thickest of the fight, and, drawing his sword, waved it over his head and yelled to his retreating men to halt, face and fight the enemy." "The sight of 'Old Rosy' in the thick of the fight, exposing his life every moment, so inspired McCook's brave and broken ranks with sudden enthusiasm and determination that the retreating line halted, 'about faced,' and delivered a volley of musketry into the enemy's ranks that staggered and checked further advance." The Army of Cumberland then occupied Murfreesboro. From June 24 through July 7, 1863, Rosecrans then drove Bragg out of the middle of Tennessee. Rosecrans now occupied Bridgeport and Stevenson. Although Washington wanted Rosecrans to dislodge the enemy from the mountains, he took July 7th to August 11 to rebuild railway bridges and trestles, put roads in order and the concealed the point of crossing the Cumberland mountains and the Tennessee River. As soon as the corn had ripened for food and forage, Rosecrans made his move to the river. Bragg withdrew from Chattanooga and retired behind Chickamauga. From September 19 to 22, the tides turned for Rosecrans. He had delayed in following orders from Washington and held back until he saw the opportune time to advance. After three days of savage fighting, Bragg defeated the Union troops at Chickamauga. On October 23 Rosecrans was relieved of command and in January 1864 assigned to the Department of Missouri, headquartered in St. Louis. Here he defeated the invading Confederate forces. On December 10, 1864 he was placed on waiting orders in Cincinnati, mustered out of the volunteer service on January 15, 1866, and resigned from the army on March 28, 1867, as major general. Like many other retired military men, Rosecrans looked at California for a final home. He was disappointed in San Francisco but the view at Los Angeles thrilled him. He acquired 14,000 acres for a song. In 1865, Rosecrans was offered the Union nomination for Governor of Ohio but declined. In 1868 he was appointed minister to Mexico, a position he held for a year before returning to the United States. He declined the Democratic nomination for Governor of Ohio. Rosecrans resumed the practice of engineering. In 1871, he was president of San Jose Mining Company. From 1872-3, he was engaged in an effort to install narrow gauge railroads in Mexico. He declined the Democratic nomination for Congress from Nevada in 1876. In 1878 he became president of the Safety Powder Company in San Francisco. In a few short years, Rosecrans lost many dear to him. His older son, Louis, died in 1876, his daughter, Mary, in 1877 of tuberculosis, his brother, Bishop Sylvester Rosecrans in Columbus in 1878, and soon after, his wife, Annie, probably of cancer. 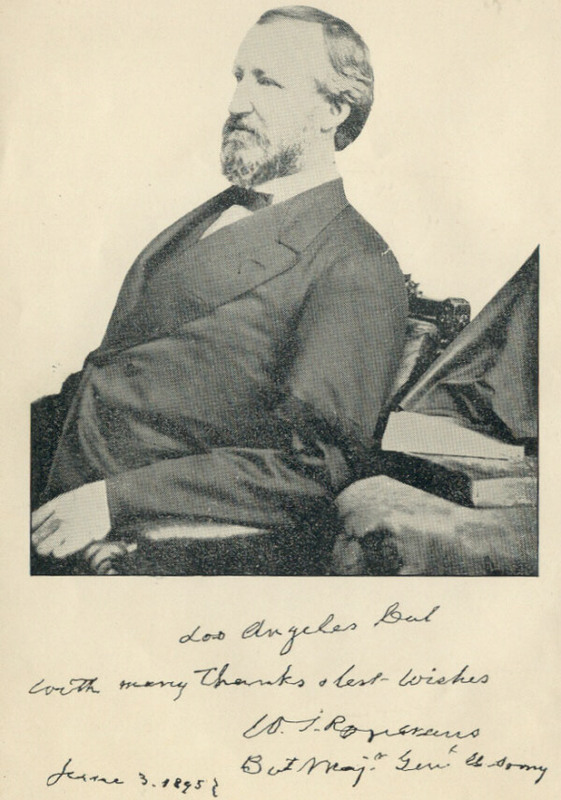 In California in 1880, he was elected as a Democrat to the lower house of Congress carrying a strong Republican district. In the House he was Chairman of the Committee on Military Affairs. President Cleveland appointed him Registrar of the Treasury. On March 2, 1889, by act of Congress, he was put on the retired list of the U. S. Army with the rank of brigadier-general. Still Registrar of the Treasury under President Harrison, his health began to fail. He retired to Redondo Beach, California. Much of his land had been lost to pay for his Nevada deals. Only 1,100 acres remained but it was enough to encourage him to farm. Here he spent his last days with his son, Carl, on Rancho Sausal Redondo. He died March 11, 1898. Following a full military funeral he was buried in Los Angeles. In May 1908, his body was moved to Arlington Cemetery and reburied in the presence of President Theodore Roosevelt. Sunbury's Colonel Benson W. Hough Post of the American Legion along with William Mitchell's generous donation of land from his farm where Rosecrans was born, and the Ohio American Legion dedicated the boulder monument on Rosecrans Road Sunday, May 26, 1940. The plot of ground was set aside in perpetuity by Mitchell and the township trustees. Thanks to L. W. Mulhane's booklet, "Memorial of Major-General William Stark Rosecrans," published in 1898. This booklet is in the Community Library collection. Kingston township is featured in the library display case this month. Rosecrans' monument is one of the hidden treasures featured on the Big Walnut Area Historical Society's Auto Tour on October 5th. Participants will purchase tour booklets at the Myers Inn, 45 South Columbus Street in Sunbury between 1 and 4 p.m. The booklet has driving instructions to the historical landmarks and vignettes on the sites. The first 100 cars to complete the trip and return to the Myers Inn by 5 p.m. will receive a surprise. The Auto Tour, a part of the Heritage Day Celebration of the Historical Society, is part of the Big Walnut Ohio Bicentennial Celebration..